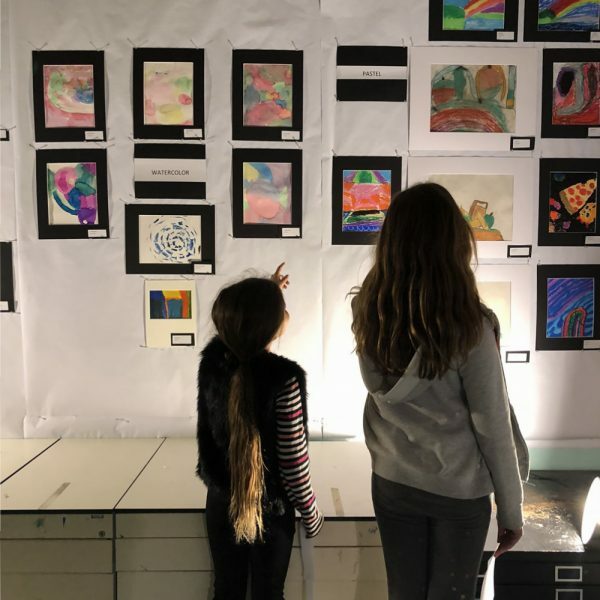 The Boys & Girls Club of Laguna Beach recently announced the positive impact of its offerings for the previous (2017-2018) school year that seek to inspire members’ natural curiosity in science, technology, engineering, arts, and math (STEAM). Visitors check out artwork by Boys and Girls Club members. “Our STEAM programming is an important component to our Boys & Girls Club experience, and strongly believe these set of choices support our young people in taking the first step in looking at career paths in these high growth fields,” said Pam Estes, CEO of the Boys & Girls Club of Laguna Beach. With over 500 club members participating in diverse subject areas such as coding, robotics, sailing, cooking and animation, ecology and music, outcomes were notably positive year-over-year with substantial gains seen in computer skills competencies and improvements in decreasing the gender and ethnicity participation gap. The Boys & Girls Club of Laguna Beach has a strong commitment to engaging both genders equally and supporting underrepresented groups at a young age with a goal of carrying every child’s interest and enthusiasm in these areas into higher education. “We are incredibly proud to communicate the positive influence these programs have had on our members. At the conclusion of programming, surveys indicate that a majority of them have increased their competencies beyond just the subject matter, such as leadership and respect for others, adding so much value to the participants – all while having fun. It’s a win-win for the children in our community,” said Faye Cartmale, Impact Director of the Boys & Girls Club of Laguna Beach. The STEAM programming initiative at the Boys & Girls Club of Laguna Beach was made possible due to the generous contributions from the following foundations and organizations: Edison International, Cox Communications, James M. Cox Foundation, Royal Bank of Canada Foundation, Best Buy Children’s Foundation, San Diego Gas and Electric, Festival of Arts Foundation, Massen Greene Foundation, and Edwards Life Sciences. For more information on the impact of the club’s programming efforts or Boys & Girls Club of Laguna Beach membership opportunities, contact member services at 949-494-2535 or visit www.bgclagunabeach.org.